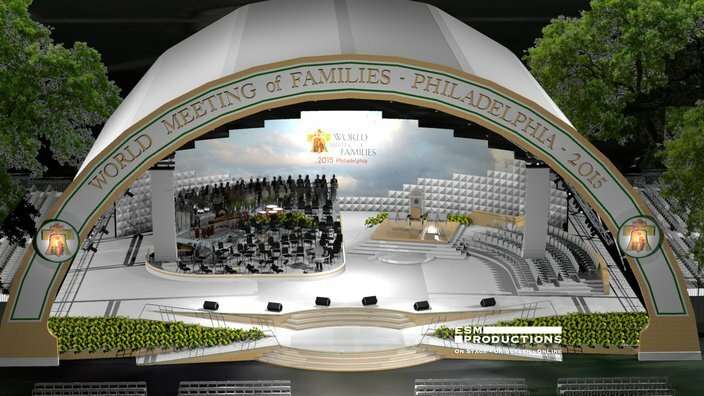 This rendering depicts the stage for the Festival of Families, to be held Sept. 26 at Eakins Oval on the Benjamin Franklin Parkway. 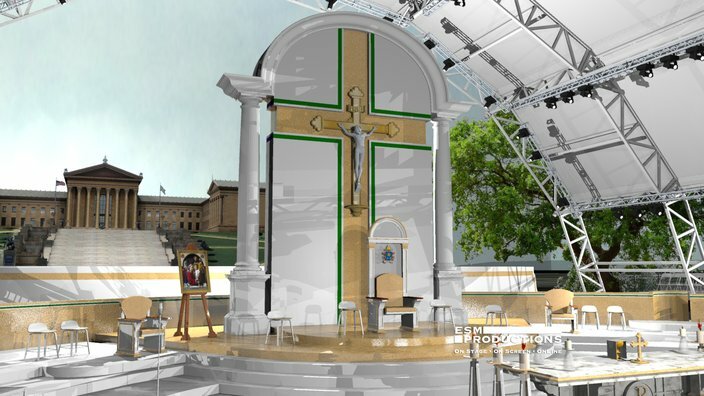 The World Meeting of Families released artist renderings depicting the altar for the Papal Mass and the stages for the Festival of Families and Pope Francis' Independence Mall speech. 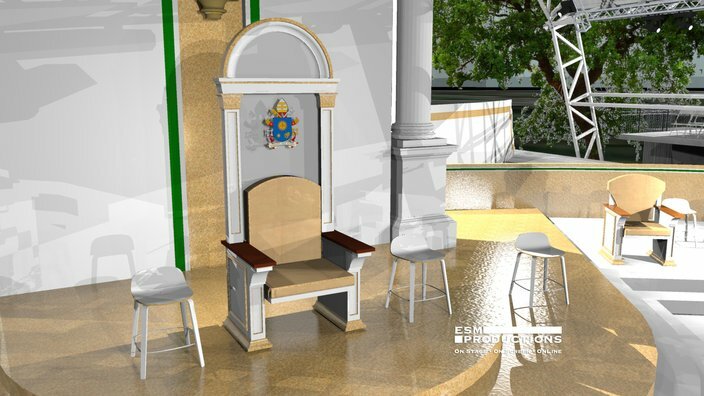 The Papal Mass, held Sunday, Sept. 27, is expected to draw 1.5 million to Center City. 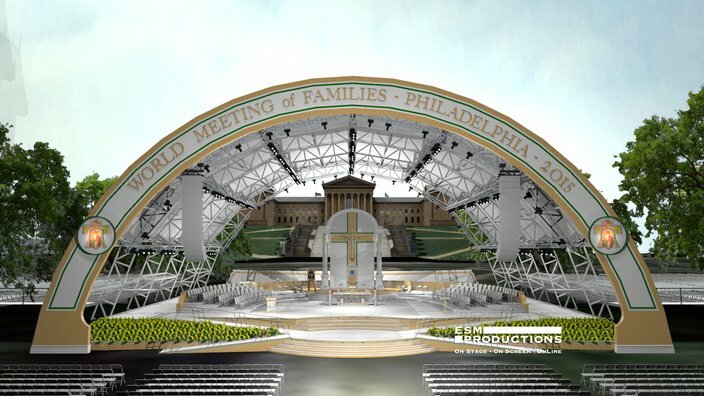 It marks the signature and final public event of Pope Francis' visit to Philadelphia. 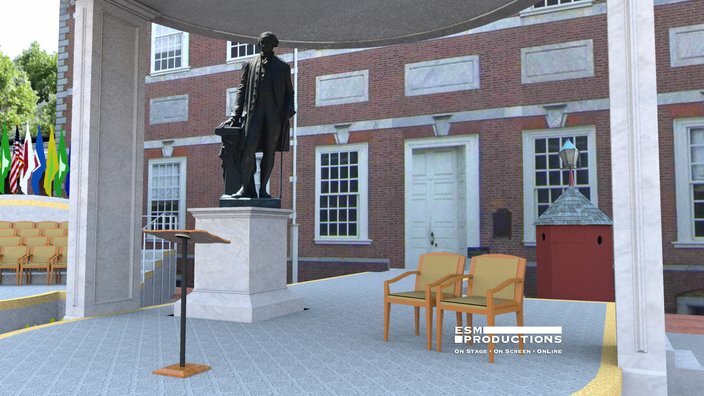 Pope Francis will speak on immigration and religious freedoms at Independence Hall on Saturday, Sept. 26 using the same lectern Abraham Lincoln used to deliver the Gettysburg Address. 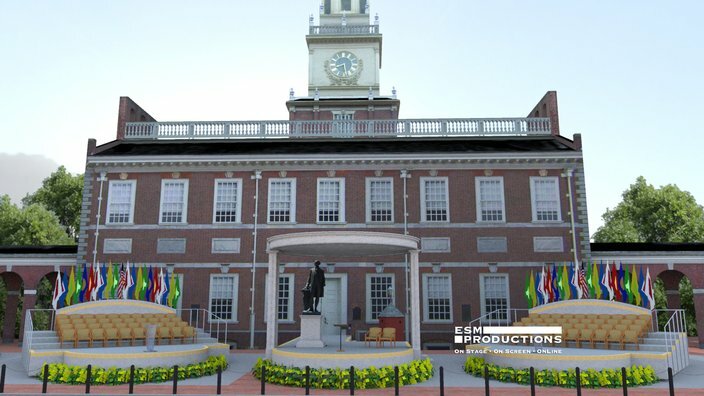 About 10,000 people are expected to flood Independence Mall. 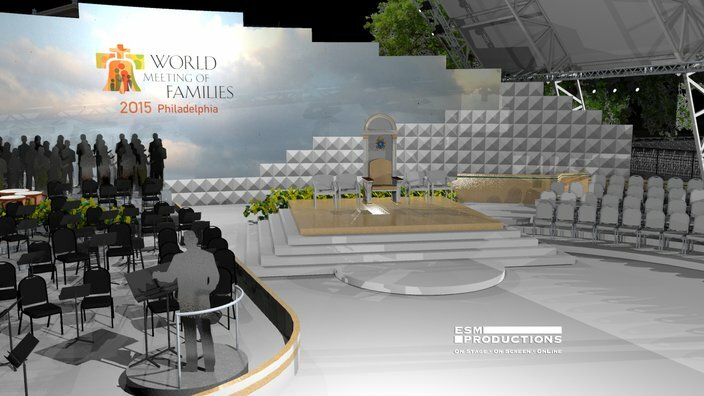 He then will appear at the Festival of Families, the concert celebrating the conclusion of the World Meeting of Families. 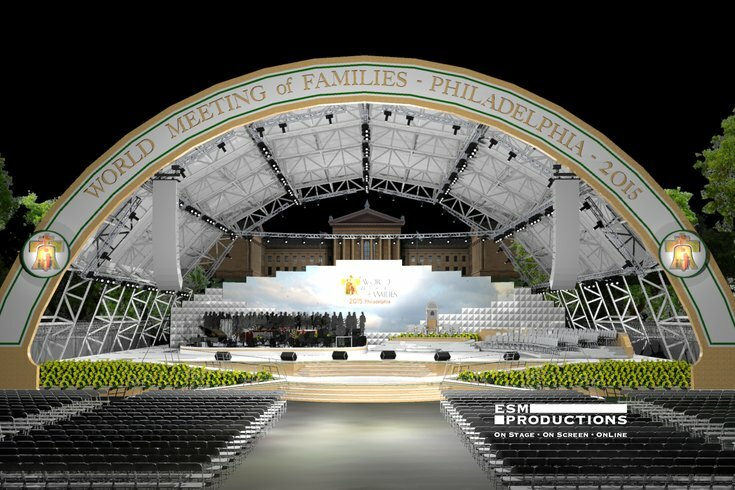 The event, expected to draw 800,000 people to the Benjamin Franklin Parkway, will feature musical performances by Aretha Franklin, The Fray, Andrea Bocelli and the Philadelphia Orchestra. Actor Mark Wahlberg will serve as host.